Custom type II, class 3 anodizing. 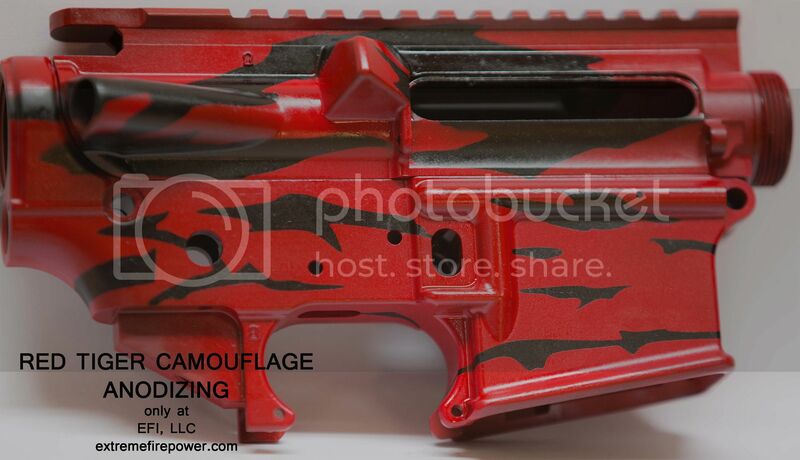 We offer custom camouflage anodizing for our customers. It's not paint, it's anodize. We have a growing selection of colors and patterns available. 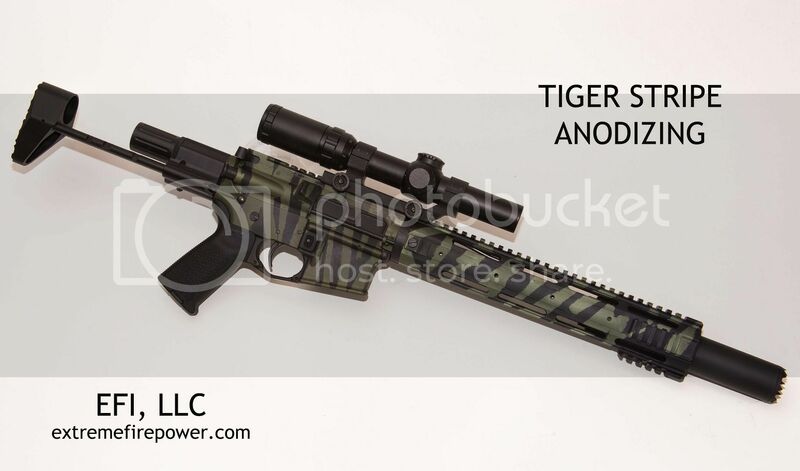 Re: Custom type II, class 3 anodizing. That Precision Strike... very nice.